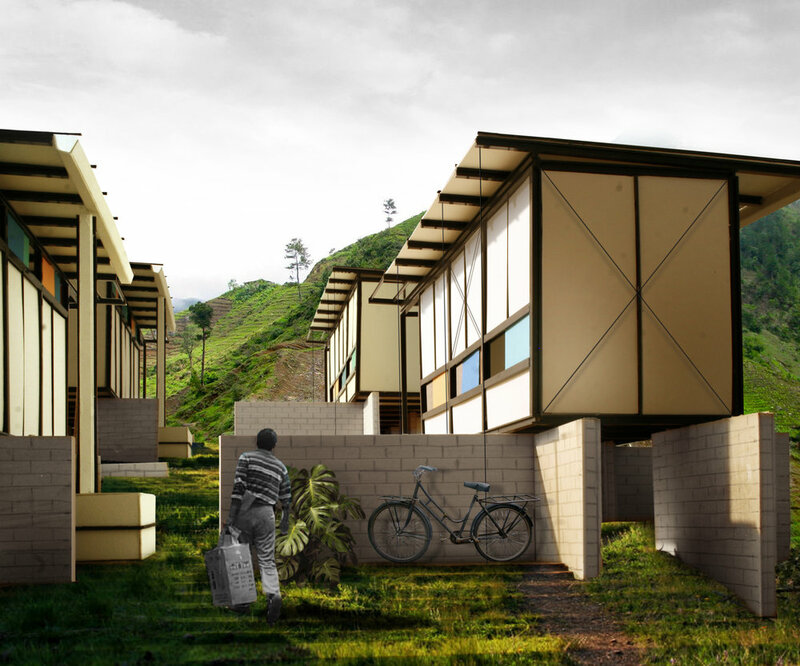 The project is a house prototype module for disaster relief areas - Haiti. The house is designed with the intent of creating a small self-sustained community. Our proposal seeks to minimize the area for a single house. 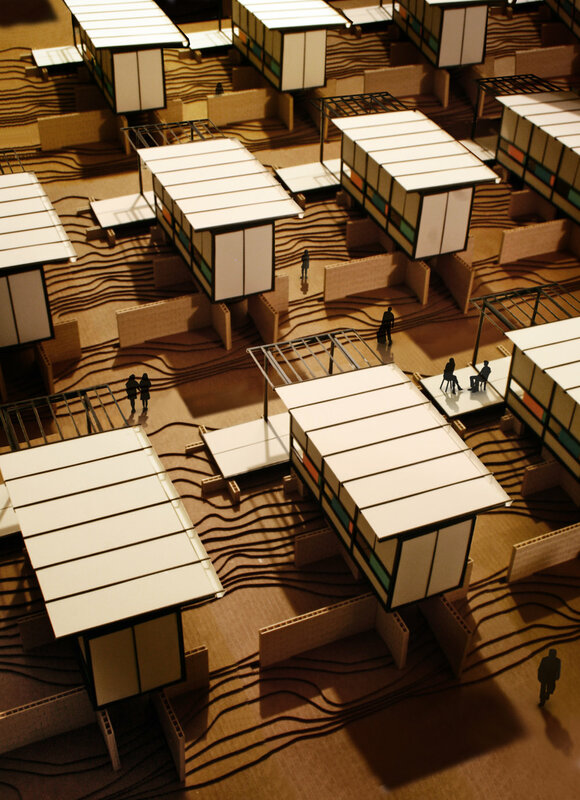 The plan is divided into four 8’ x 8’ modules; each serving as a room. 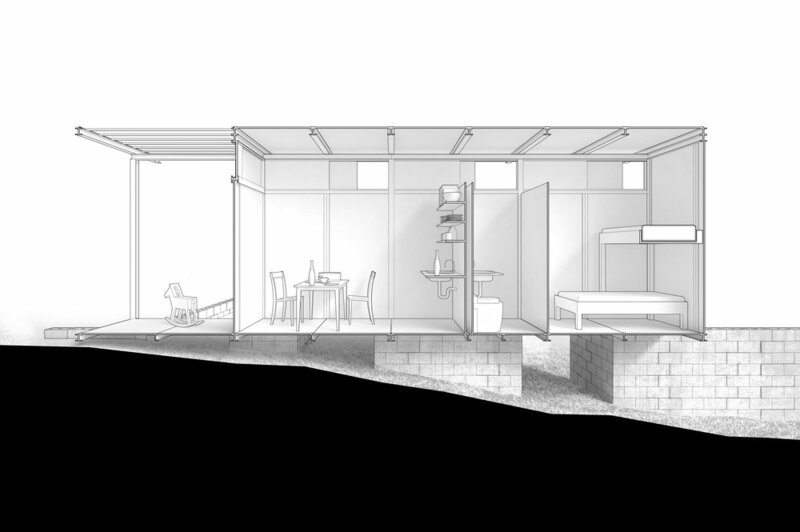 A bathroom/kitchen core divides the enclosed area into a sleeping quarter and a living/dining area. The fourth module is an exterior porch, which in turn can shift within the plan and provide a variety of public areas. The ‘L’ shape produced by the porch allows for the housing unit to be repeated in a small community while generating a private garden for each house.